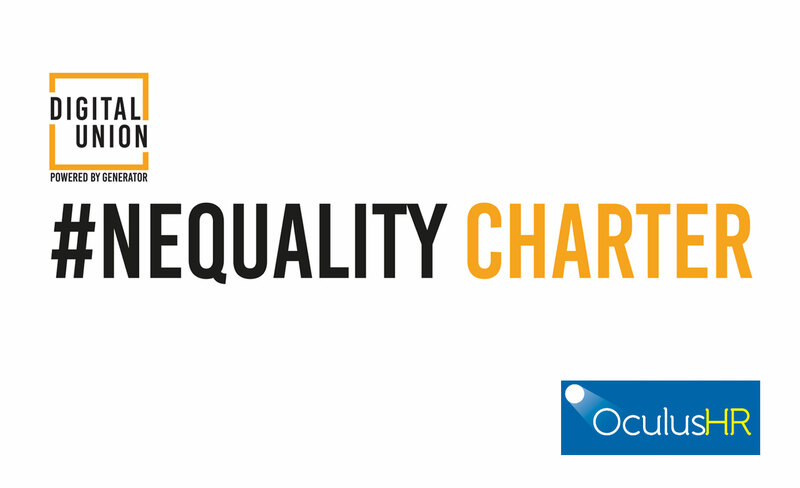 As proud members of Digital Union, this week we’ve taken the #NEQUALITY pledge (designed by Oculus HR). This means we agree to continue to provide an inclusive work atmosphere, and never discriminate on gender, age, sexual orientation, disability, physical appearance, ethnicity or religion. Equality comes in all shapes and forms. Let’s face it, a room full of the same demographic would only result in us creating very vanilla work. So bring it on. Always. ‘At DC we couldn’t do what we do without a diverse team with different backgrounds, interests and skills. It’s our wonderfully eclectic people and the way we challenge each other and work together that makes DC such an interesting place. Ethnicity, gender, sexual orientation, age and religion doesn’t come into it. We encourage all of you to join us in this pledge – by agreeing to be more accountable for how you run your business and being an equal opportunities employer, you’ll help make sure our region is fully represented. For more information on how to join the #NEQUALITY pledge, head over to the Digital Union website and let’s help drive this campaign forward.